The area is probably best known for its christian or ecclesiastical sites. The root word keel (Cill) meaning church is common. 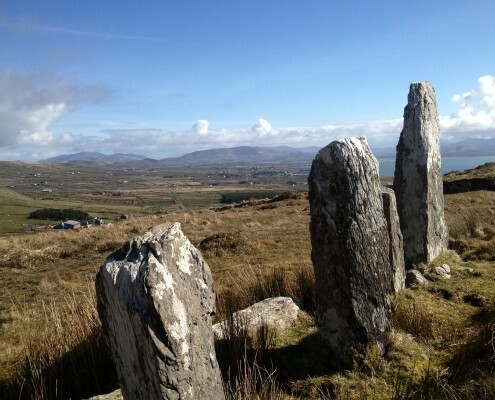 The early christian monastic site at Killabuonia is of major interest to archaeologists though it is in poor repair The medevil church at Keel was built near the site of St Finian’s Monastery and was the parish church for the Glen and Portmagee for Centuries. 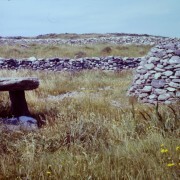 Keelonecaha is another holy site and it is said there was a fight between the Irish and the Danes there. 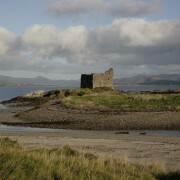 Reputedly a McCarthy Stronghold and known locally as Ballinskelligs Castle, this tower house, possibly 16th century in date, is positioned on an isthmus stretching out into Ballinskelligs bay on its western shoreline. 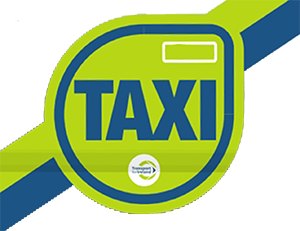 The tower is accessible from Ballinskelligs Blue Flag Beach via the car park situated behind Cafe Cois Trá. More details on the history of the tower can be found here. Ballinskelligs Augustinian Priory was founded for monks who came to the mainland from Skellig Michael in the 12th Century after numerous attacks by Vikings. The Priory was dedicated to St.Michael, as was Skellig Michael, and the monks adopted the Augustinian rule. 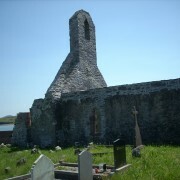 Ballinskelligs Priory is located southwest of the village of Ballinskelligs off the R566 on the left between the junction of Cafe Cois Tra and Ballinskelligs Pier. More details on the history of the 12th Century Abbey can be found here. 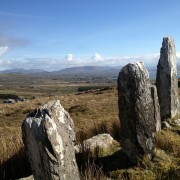 Four standing stones, in alignment with the moon can be found on a hill a little beyond Cill Rialaig artists village. It’s a spiritual place with difficult access but well worth the visit. The track passes other ancient settlements on the way. 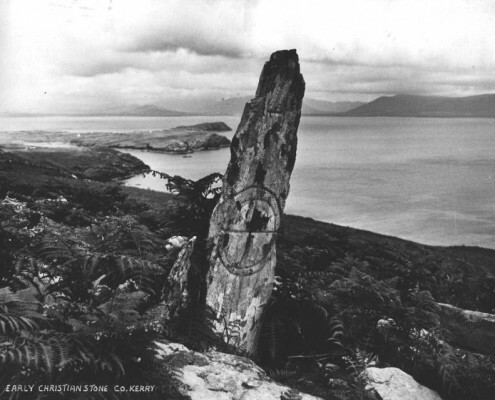 For more information on this and other stone sites which are scattered around the bay you should get in touch with our team who organise walks in Ballinskelligs. St Michaels Well can be found by following the signs located at the road junction opposite the Community Hall in Dungaegan village. The Pattern day takes place on the 29th of September each year.